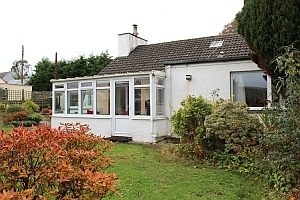 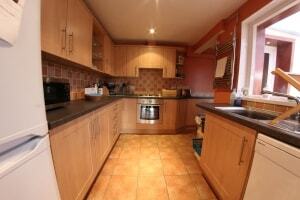 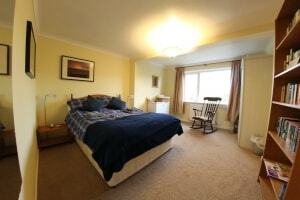 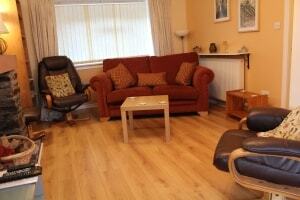 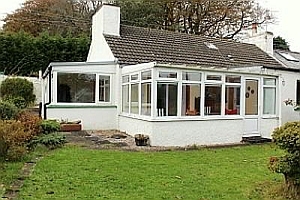 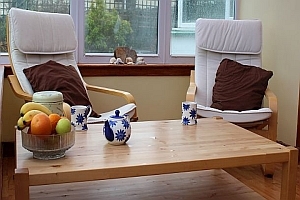 A Quality Cottage for four in Garlieston, Wigtownshire. 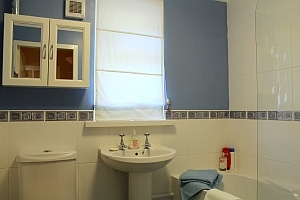 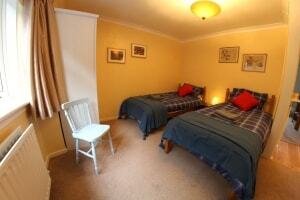 The cottage is situated in the historic seaside village of Garlieston, only a few metres from the sea. 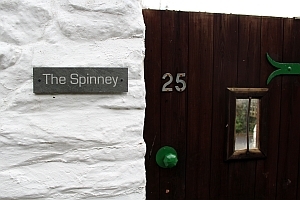 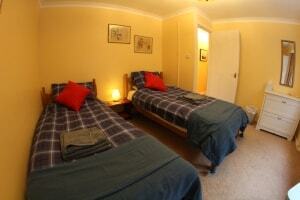 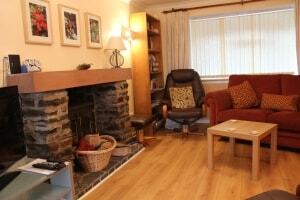 The single story two bedroomed cottage sleeping 4 offers quality accommodation in an historic mid 1800's cottage. 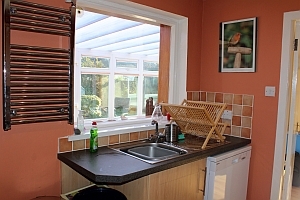 The Garden is great for barbecues in the summer. 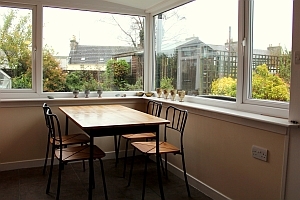 The dining room has pleasant views of the garden. 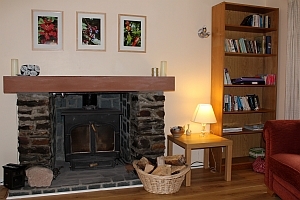 The living room has a sofa and comfortable leather reclyining chairs, wood burning stove, plus a large flat screen TV and DVD player. 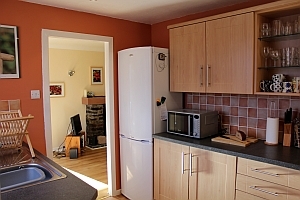 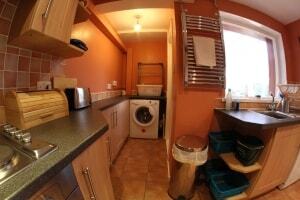 The modern kitchen, with dishwasher and automatic washing machine, has everything you need. 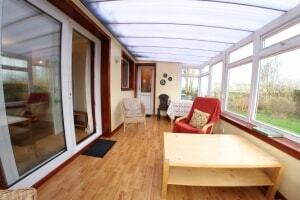 The living room opens into a spacious sunny conservatory (There is one step down to the conservatory). 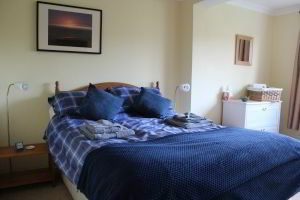 The master bedroom with a double bed. 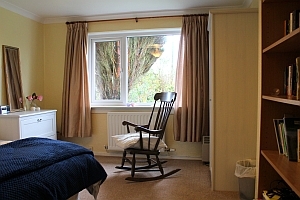 This room has views of the garden. 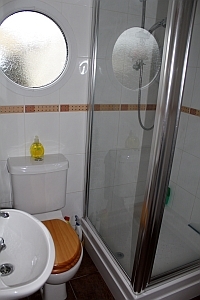 The bathroom has a bath with a shower over it, W.C. and basin. 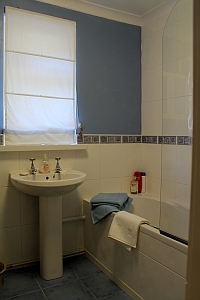 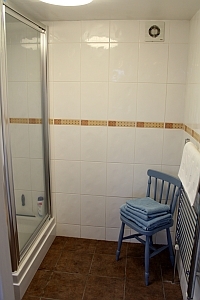 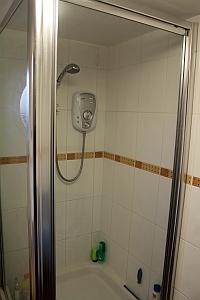 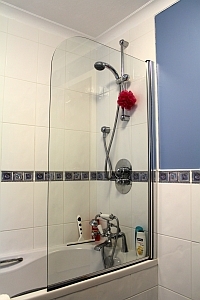 The shower room has a large shower, W.C. and basin. 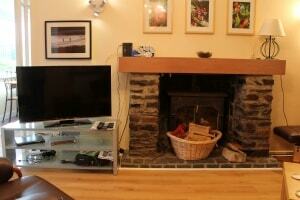 The cottage has full central heating as well as the open fire, making it ideal for holidays in all seasons. 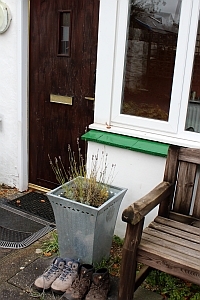 2013-2019 Tim Fuller	| All Rights Reserved.